Wilfred Josephs is remembered primarily for writing the main theme for the I, CLAUDIUS television series and ALL CREATURES GREAT AND SMALL, although, more recently, additional attention has been brought upon Josephs' contribution to Patrick McGoohan's THE PRISONER series, thanks to CD sets from Network. While it's great to have a mini-revival of interest in vintage TV music, the feature film work by Wilfred Josephs remains unjustly in the shadows of "obscurity". One of Josephs' 25 film scores - MY SIDE OF THE MOUNTAIN - did receive an LP release at the time. However, this album was largely dialogue & sound effects & source music, with little of the score proper. This Canadian anthology production about cats overcoming mankind is a lukewarm affair at best, but is bolstered by a superbly orchestrated score by Wilfred Josephs. Notice the use of bass clarinet, cimbalom/dulcimer, and electronics (amongst other instruments) to create a slinky feline sensation. The original U.K. version of this AIP horror vehicle for Vincent Price was scored by Wilfred Josephs ; however, when AIP distributed this item in the U.S., it was edited down. Les Baxter re-scored it for AIP, which was customary at the time. Wilfred Josephs wrote an effective score for this Amicus B-movie bee movie. He conveys the swarming insects (and human fear) in his strident yet fluidly arranged music, doing so a dozen years before Jerry Goldsmith's similar efforts for Irwin Allen's THE SWARM. Initially entitled FANATIC, this Hammer production with a better-than-average script by Richard Matheson was retitled DIE! DIE! MY DARLING! for the States. Harpsichord is the instrument of choice to depict a religious zealot turning homicidal. This is probably the earliest Wilfred Josephs score that is known amongst genre enthusiasts, though Josephs had worked for Hammer before, scoring their CASH ON DEMAND in 1961. 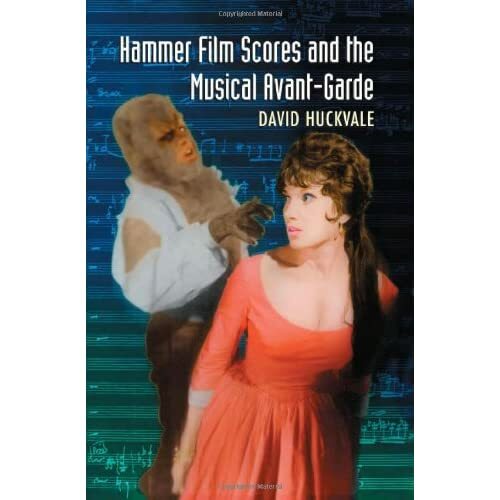 It's all the more puzzling to me why author David Huckvale (in his book Hammer Film Scores and the Musical Avant-Garde) covered every composer who wrote for Hammer horror - except Wilfred Josephs! Hope you've enjoyed these snippets. 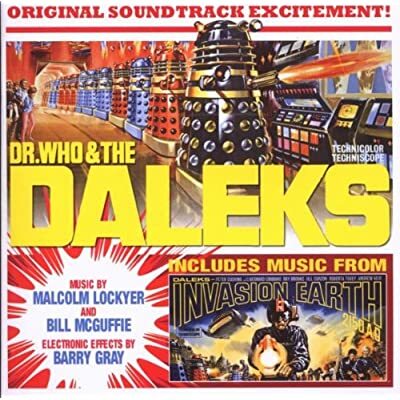 If Silva Screen in U.K. was able to locate and release Malcolm Lockyer's music for the 1965 Amicus production of DR. WHO & THE DALEKS, perhaps there is hope for the sound recordings from THE DEADLY BEES surfacing onto a long overdue soundtrack album? Thank you the clips ToneRow. I watched The Uncanny this week and as you say the movie wasn't great. However, the Josephs score was excellent indeed. Do you know if the score was recorded in England or in Canada andare the tapes still in existence? Sorry to disappoint, but I don't know where THE UNCANNY was recorded or if the sound recordings still exist. My educated guess is that it was done in Canada. However, since THE UNCANNY was a Canadian/U.K. co-production, it's possible that after location filming in Montreal, Quebec was wrapped up, the post-production was moved over to England. Whichever the location, though, the sound quality of the recording is apparent in the movie itself - just imagine how good it would sound if the recordings were re-mastered and put out into an album! I'm hoping THE UNCANNY master tapes are in Canada. That way after Intrada releases Jerry Fielding's Canadian FUNERAL HOME, they can next give us Wilfred's UNCANNY! MR Josephs score for the deadly bees was very effective, so was his score for Die die my darling, i agree The uncanny was not that good, not bad either, but it was nice to see 2 great pro's Ray Milland and Peter Cushing together, going at it. There is a Cavendish CD with some of his production library music. His music underscored the memorable Twilight Zone episode, The Little People ("I'm the god!"). ... and The Deadly Bees. Yes, not so long ago there was virtually nothing on YouTube. It's easy to say YT is all abuse of copyright, but in cases like this, it could fuel curiosity and sales. A composer should have a YouTube presence. So damned underrated he was too, despite his success. Everyone should check these out. So damned underrated he was too, despite his success. There's alot of anti-dentites in the world. What about "24 Hours To Kill"? It had a stirring and lush string melody in the opening credits. Hell, you can't be too careful, there must be more than 100 FSM-ers out there and any one of them, any one I tell you, could be on the cusp of dental violence. We should err on the side of caution. I must admit, I often found Wilfred Josephs' music quite "resistible", but that's perhaps due to being exposed to his score for Hammer's FANATIC (or DIE! DIE MY DARLING) at the age of ten. Frantic and farcical (deliberately so), it really grated on my nerves. Director Silvio Narizzano hated it too. But then I started thinking about the stuff he wrote which I really do like, and it far outweighs the amount which I have been underwhelmed by, or even annoyed by. Yes, those YT clips have made me start to reappraise his works. Here's a question which Last Child will know the answer to. I'm currently (still) working my way through all the original five seasons of "The Twilight Zone", and after each episode, if it's one made up from stock cues, I'll go to The Twilght Zone Café site to check where they came from. The piece which LC mentioned, which was used in "The Little People" is titled "Six Undertones" (I think). I haven't done much research, but that strikes me as being quite early for Josephs. I know that he'd been writing since the mid (early) 1950s (? ), or at least that's when it appears that his commissioned works began to be performed, but they seem to have been "small" commissions, written for the Newcastle Town Hall Christmas Party, and things of that ilk. I can't find any reference to how "Six Undertones" came about. Anyone know? And how did it turn up in the CBS library, and thus in "Twilight Zone"? Here's a question which Last Child will know the answer too. I'm currently (still) working my way through all the original five seasons of "The Twilight Zone", and after each episode, if it's one made up from stock cues, I'll go to The Twilght Zone Café site to check where they came from. The piece which LC mentioned, which was used in "The Little People" is titled "Six Undertones" (I think). I haven't done much research, but that strikes me as being quite early for Josephs. I know that he'd been writing since the mid (early) 1950s (? ), or at least that's when it appears that his commissioned works began to be performed, but they seem to have been "small" commissions, written for the Newcastle Town Hall Christmas Party, and things of that ilk. I can't find any reference to how "Six Undertones" came about. Anyone know? And how did it turn up in the CBS library, and thus in "Twilight Zone"? I dont know. I asked a few years ago where the TWZ Cafe got that title "Six Undertones" but they never explained. The cues have library-description names in the CBS EZCue library (ie Fantasies, Mausoleum, Safecracker, Lone Vigil, Ostinato) from album 151, side 2, and album 154, side 1. Joseph's superb theme to I Claudius remains the best work of his that I've heard so far. That and his incidental music for The Prisoner (not his theme though which is... not so good). Occasionally interesting, quirky film composer on the whole, of the kind the UK produced quite regularly at one time. I love the theme from Pride and Prejudice 1980. I've been trying to find out if this song has another name.